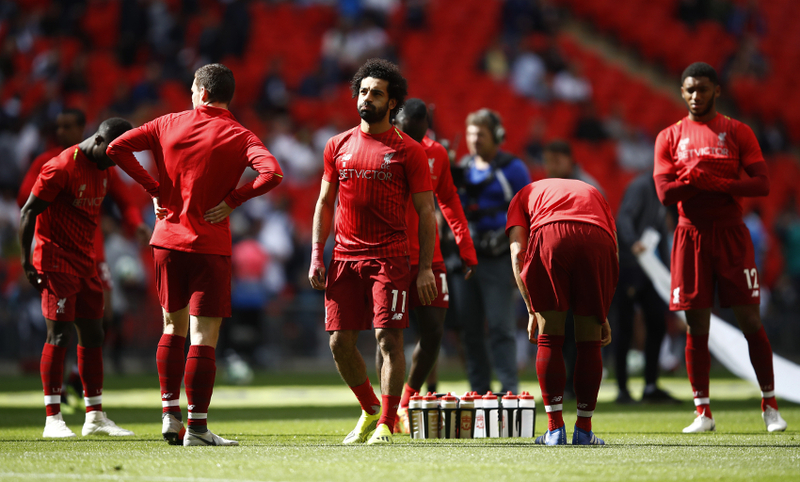 Follow all of the action and reaction as Liverpool return to Premier League duty by facing Tottenham Hotspur at Wembley. 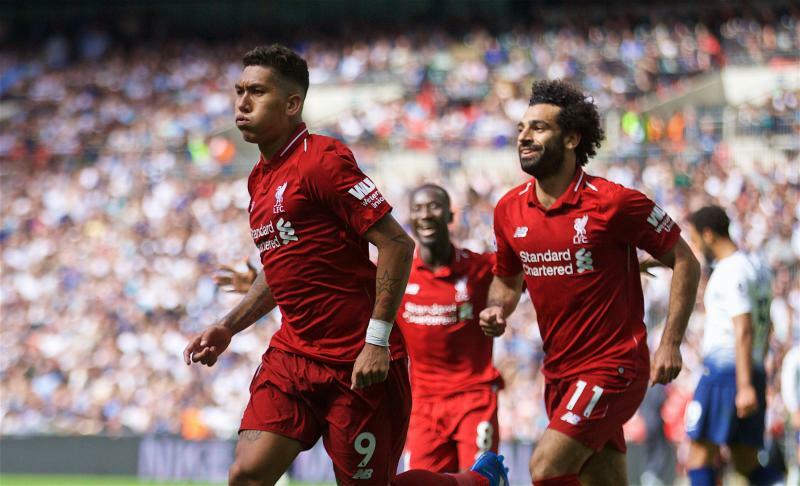 Erik Lamela sets up a nervy finale, but Liverpool are deserved winners at Wembley as they record a 2-1 success over Tottenham Hotspur to maintain their 100 per cent start to the season. Georginio Wijnaldum's first-half header set them on their way before Roberto Firmino doubled the lead just after the break. The Reds had plenty of chances to extend that advantage, but saw off a late push from the hosts to take the points. It means Jürgen Klopp's side have won all five of their opening fixtures of the campaign and remain top of the Premier League table. Nervy, nervy moment for Liverpool as Son collects a long throw into the area and tries to weave his way into space. He eventually shoots, but it's wide. Late hope for the hosts as Lamela lashes in from a corner. Rose gets a sight of goal, but his shot from Lamela's cross is deflected behind by Gomez. Mane thumps one over the bar from distance. Liverpool's last change - Alexander-Arnold makes way for Matip. Chance for Spurs as Lamela bounds his way into the area but toe-pokes wide of the post. Sturridge is on for Keita, while Wanyama replaces Dier. Wijnaldum squares for Mane, but his shot is blocked by Vorm. Milner breaks forward and plays it left to Salah, who curls towards goal; however, Vorm punches away. Firmino's day is done with that head injury. Jordan Henderson is on in his place. Heung-Min Son is on for Harry Winks for the hosts. Meanwhile, the Reds are down to 10 men as Firmino recieves treatment for a head injury. Looks like he might not be able to continue. Kane can't connect properly with Eriksen's half-volley across goal and the ball spins up and away from Alisson's net. Roberto Firmino has been directly involved in 61 Premier League goals for Liverpool under Jürgen Klopp (38 goals, 23 assists), 16 more than any other player. Spurs make the first change as they react to Liverpool's two-goal lead. 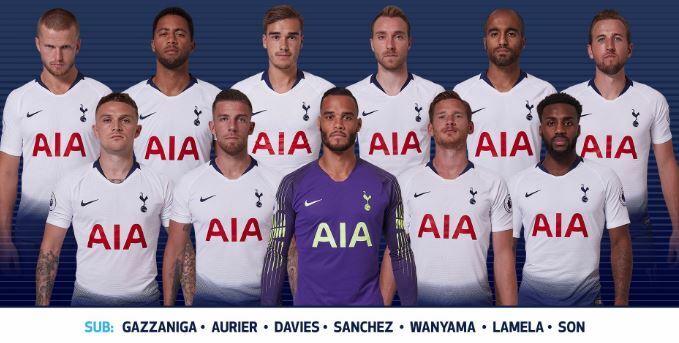 Dembele makes way for Lamela. Liverpool have a second at Wembley. Robertson's hooks a ball down the left for Mane to reach. He glides into the area towards the byline before drilling it across goal. Vertonghen and Vorm get in each other's way and the ball strikes the post before falling to Firmino, who swipes in from about a yard out. Moura spins in from the left and goes beyond Alexander-Arnold and Gomez before shooting low at Alisson's goal. Thankfully, it cracks the outside of the post and goes wide. Salah wins possession back, speeds down the left and sets up Mane inside the area, who spins and shoots. Vorm is able to save. The No.10 had Keita in support to his left. Robertson's swinging cross from the left cannons back off the crossbar. Lucas Moura almost escapes after stealing the ball from Gomez, but the defender and Van Dijk recover. 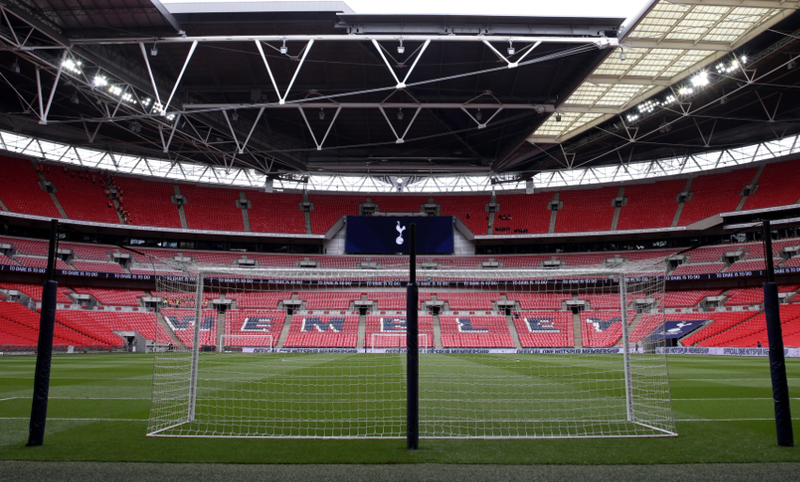 Spurs re-start the game at Wembley. 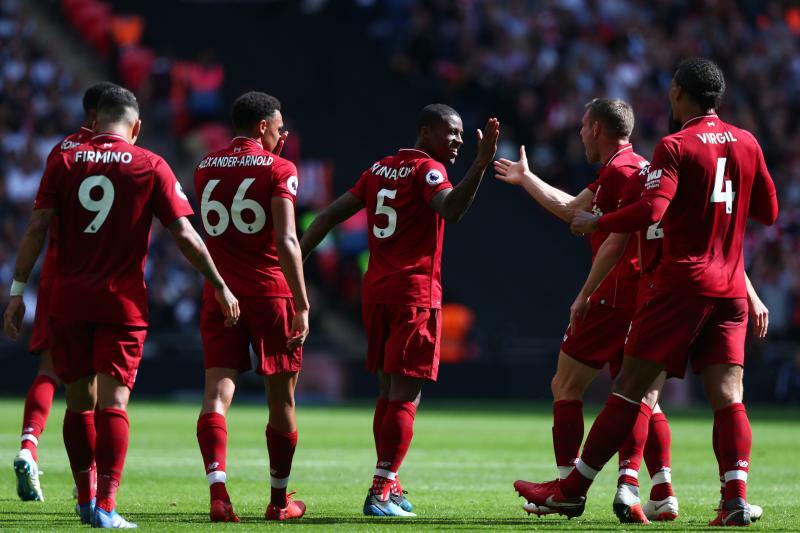 Gini Wijnaldum's header after 39 minutes means Liverpool hold the lead over Spurs at the half-way stage. It could be two as Salah's brilliant reverse pass sends Wijnaldum running into the box. 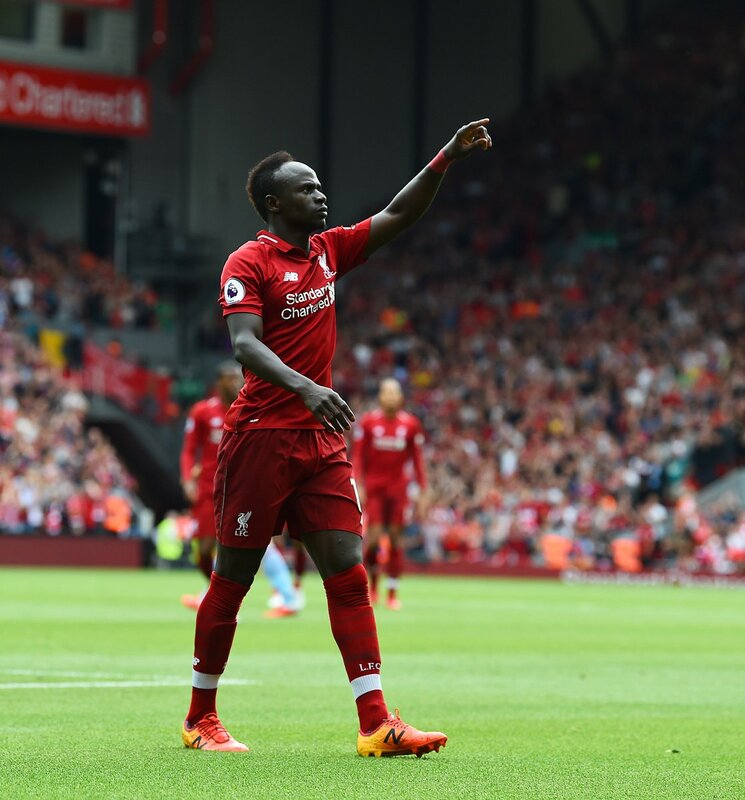 Firmino and Mane are in support, but the midfielder elects to shoot and drags it wide of the far post. Liverpool have the lead six minutes before half-time as Wijnaldum nets his first ever away goal in the Premier League. The No.5 heads a half-cleared Reds corner back at goal and Vorm attempts to claw it out from under the crossbar. There's a short delay, but the goal decision system rules in Gini's favour and the visitors lead. Ambitious from Vertonghen to say the least as he tries to beat Alisson with a shot from the halway line. It's never troubling the goalkeeper. Mane gets a run at Spurs' centre-backs but he loses his balance when he goes to shoot and his eventual effort is easy for Vorm to gather. Dier's shot from the edge of the box is deflected behind by Milner. Now Eriksen has a go from a free-kick from the edge the area, but Alisson is able to collect. Eriksen scampers into space inside the right of Liverpool's box, but Keita does well to recover and cut out his attempted cross. Moura scrambles the ball to Kane just inside the box, but Alexander-Arnold is on hand to clear the danger. Now Salah slides in Firmino, but he's thwarted by Alderweireld as he tries to step inside the Spurs defender to shoot. Salah's speed sees him absolutely outstrip Alderweireld and Vertonghen to reach a wayward pass from Dier. The No.11 races into the box but sees his blast blocked by the palm of Vorm. 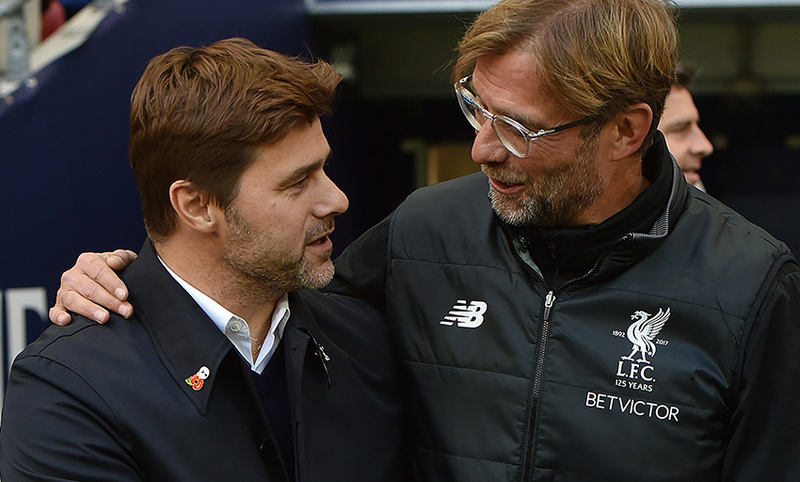 Spurs have come back into it slightly after Liverpool's blistering start - and Gomez needs to head away a cross intended for Kane as the hosts look to strike. 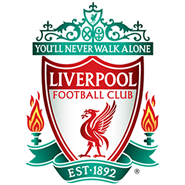 Alexander-Arnold lines up a free-kick from the left, about 20 yards out, but it's straight at Vorm. Firmino escapes into space again and this time it needs Alderweireld to block his shot. Liverpool have the ball in the net after just 45 seconds as Firmino touches in Milner's cross. But celebrations are cut short as the flag is raised for an offside, we think against Mane. But it was tight. Very tight. Liverpool kick the game off at Wembley. Come on you Reds! 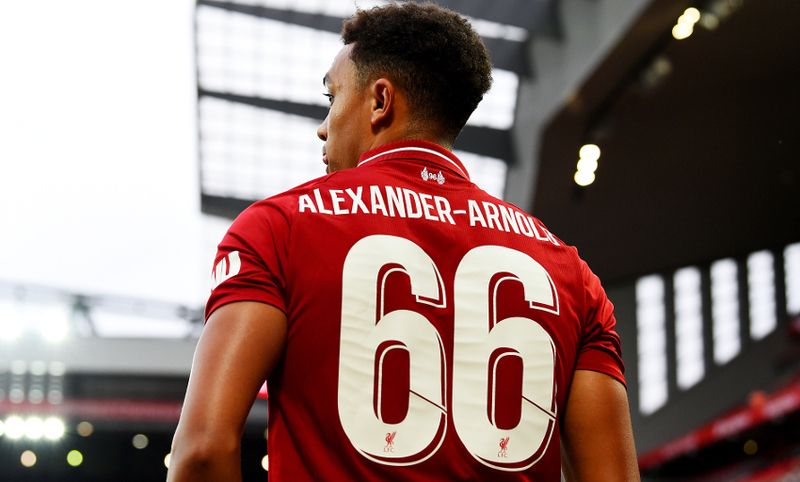 50th senior Liverpool appearance for Trent Alexander-Arnold! One change for the Reds today and the boss has explained the reasoning behind the decision. 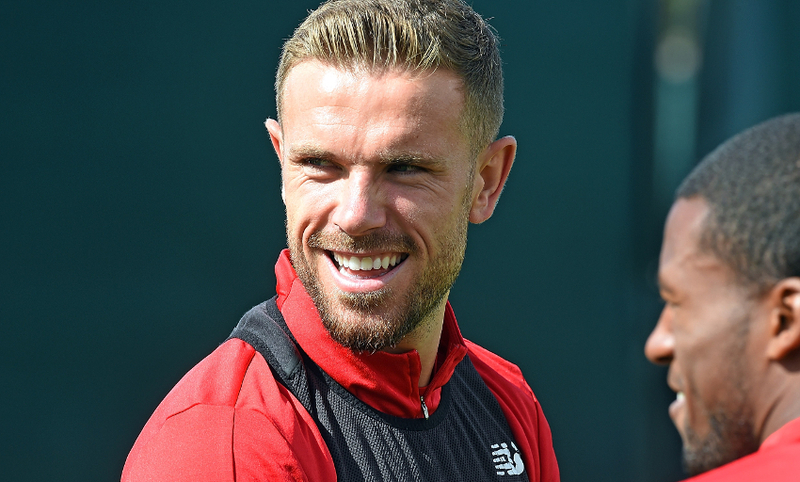 "We need Hendo so much and I don't think it makes sense in the moment to play him day in, day out, that's the thing," Klopp told Sky Sports. "It is still a bit adapting to the intensity. Hendo needs his full physical strength. I'm sure he'll have that today when he comes on and on Tuesday as well." 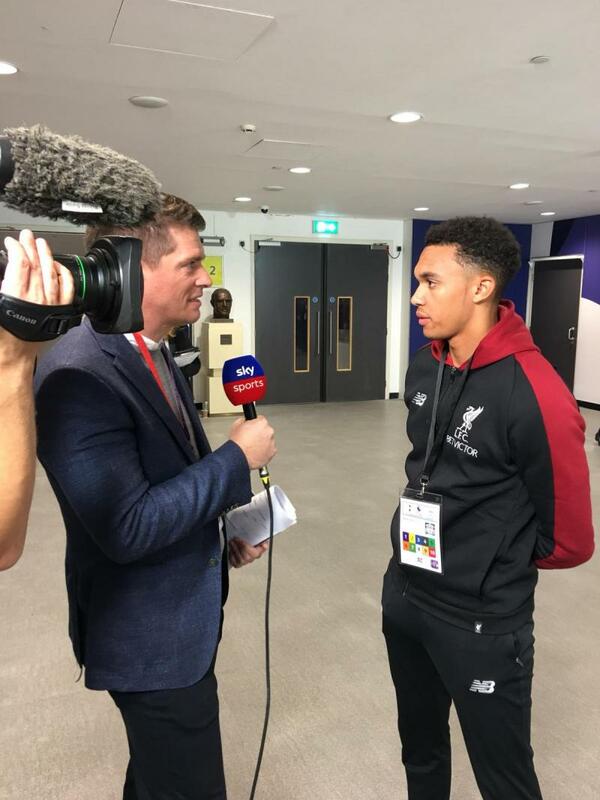 Pre-match media interviews are tackled by Alexander-Arnold at Wembley today. 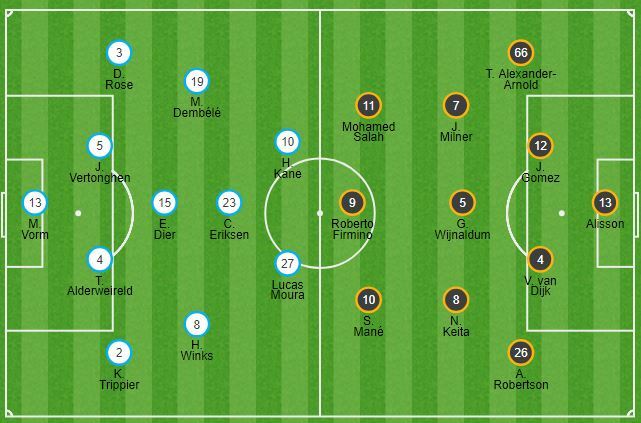 Klopp makes just a single change to his Liverpool line-up at Wembley as Naby Keita returns in place of Jordan Henderson in midfield. The captain drops down to the bench, where Fabinho also takes a spot in the absence of the injured Adam Lallana. Substitutes: Mignolet, Fabinho, Henderson, Sturridge, Moreno, Shaqiri, Matip. 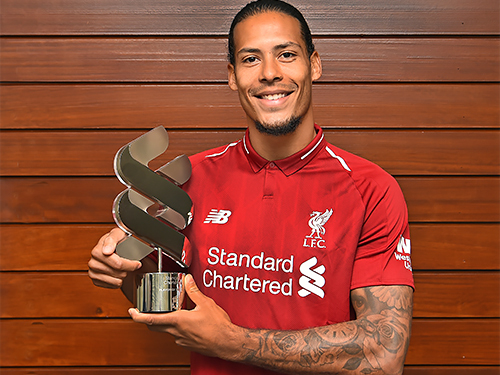 Virgil van Dijk was presented with the Standard Chartered Player of the Month award for August earlier this week - and quickly set his sights on a run of seven fixtures in 23 days that begins today. "You need to look forward to it," he said. "You want to play these games, you want to be under the pressure we're going to be and you want to play on this stage. It's only good times and I am looking forward to every bit of it. We will see what happens." It's a warm day at the national stadium, with temperatures particularly high at pitch level and sunshine enveloping the ground two hours ahead of kick-off. The players will be working up a sweat this afternoon. "It was a reality check for us and showed there is still work to be done. When you suffer setbacks like this, you want another game straight away in order to bounce back. "Due to the international break we have had to wait almost two weeks for our next opportunity to put this right as we welcome Jürgen Klopp and his team to Wembley this afternoon. "Liverpool have started the season extremely well having taken maximum points so far and will be keen to preserve that record today. It's a great challenge for the players and I believe it is one they will rise to." If you are en route to today's match, or will be, please take note of some important travel information provided ahead of the game by clicking here. Liverpool will be without Adam Lallana and Dejan Lovren in the capital but Simon Mignolet is available again after a hand injury. 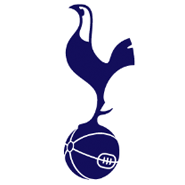 Tottenham do not have first-team regulars Dele Alli or Hugo Lloris due to injury, while Mauricio Pochettino has to make a decision on the returning Heung-Min Son. Click here to read our comprehensive pre-match team news guide. 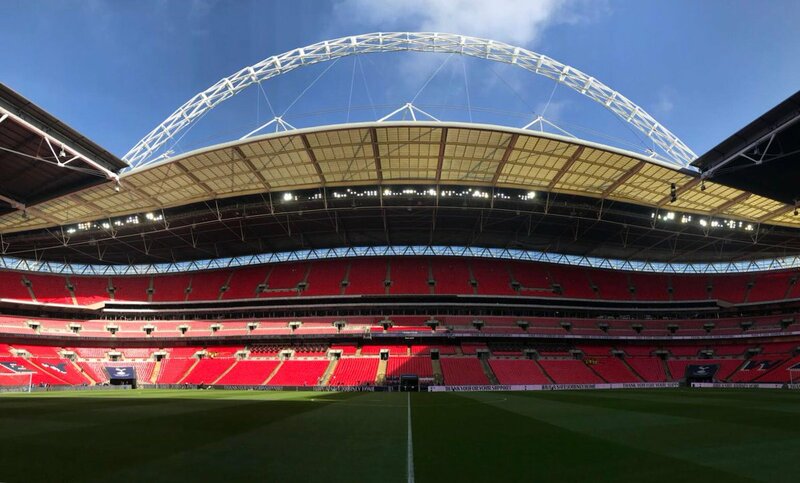 A whole 14 (FOURTEEN) days after Liverpool's last outing, the Reds are back in action today and with quite the game too - against Tottenham Hotspur at Wembley. 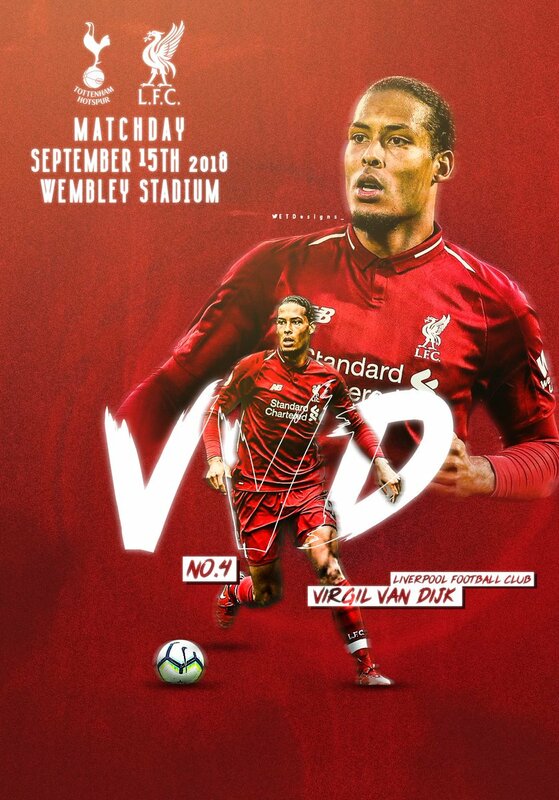 Stick with us throughout the day as we bring you live updates from London, where Jürgen Klopp's side will aim to secure a fifth successive Premier League win.